The Vatican Bollettino for June 13, 2018 has a report (only in Italian as of this writing) about the publication of the Pontifical Yearbook for 2018 and the Annuarium Statisticum Ecclesiae 2016, containing the statistics for the Catholic Church worldwide as of the end of the year 2016. The earliest reports appearing on the Catholic media about this report focus on the increase in the absolute number of baptized Catholics from the end of 2015 to the end of 2016 -- from 1,285,000,000 to 1,299,000,000. The Bollettino's actual report however has the sobering observation that the increase in Catholics from 2015 to 2016 is lower than the annual increase recorded in the period from 2010 to 2015. Additionally, the rate of growth of the worldwide Catholic population is slower than that of the world's population as a whole, with the result that the percentage of Catholics in the world population dropped from 17.73 % in 2015 to 17.67 in 2016. When it comes to priests, the trend of diminishment since 2014 is confirmed: there were 414,969 Catholic priests in the whole world as of the end of 2016, compared to 415,656 priests in 2015 and 415,792 in 2014. 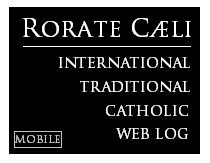 A Rorate reminder: a disproportionate number of priests and religious in Europe and North America (especially in Quebec and the USA) are in their twilight years -- late 70's, 80's, 90's. They are the last survivors of the generations ordained or professed before or during the years of Vatican II, generations that have never really been replaced in the era after 1965. As most of them go to meet their eternal reward in the next 10-15 years, the dive in the numbers of priests and religious will become even more catastrophic. For more detailed statistics on previous years, see our 2017 post: Latest statistics: seminarians down in the USA and the world, priests worldwide in decline, catastrophic decline in women religious. 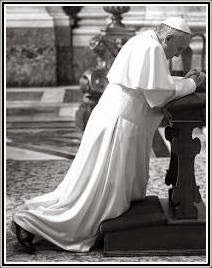 Will vocations survive the new Bergoglian priestly formation document?